Porridge oats have a very low G.I., meaning that the carbohydrate is released into your bloodstream slowly and therefore will sustain your energy levels and help prevent those 11am food cravings. Porridge is also a great full-up-feel food due to its consistency; it's been found that wetter and creamier foods switch on satisfaction signals and so improve satiety. 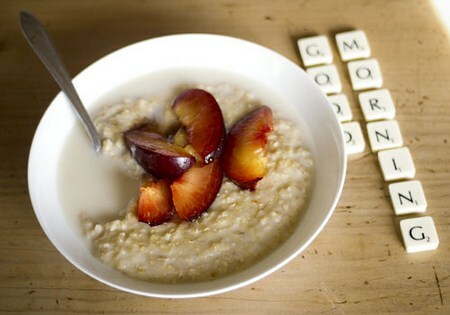 What's more, studies show that a bowl of porridge can lower cholesterol. So all up, porridge makes the perfect breakfast that will see you satisfied to lunch. If you are looking for a mindless munch to satisfy that hand-to-mouth craving then popcorn is one of the best snacking options available. First off, popcorn has the benefit of being a wholegrain food which means it contains more filling fibre than many other snack alternatives. Secondly it fills you up due to its volume — a 25g (0.9oz) serving of popcorn will fill a much bigger bowl compared the same weight in chips — plus there's less fat too. 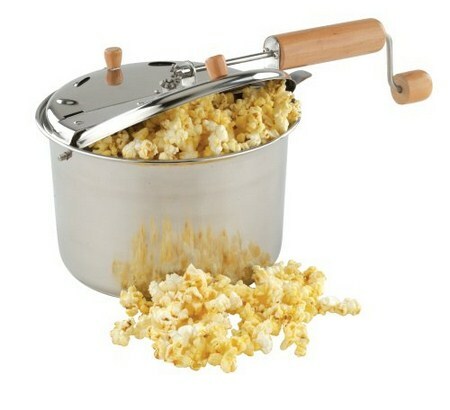 Make sure you don't go for the butter, oil, toffee or salt varieties though; plain, air-popped popcorn seasoned with a smidge of KN pepper can give you a great fill-up snack fix. 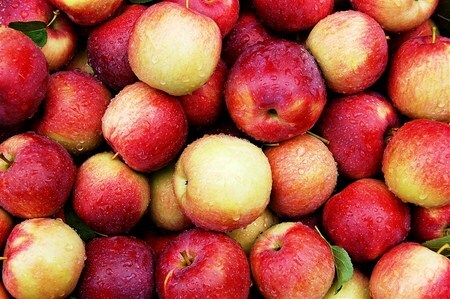 Apples are a great food to keep hunger at bay due the fact that they are full of fibre. Studies have also suggested that they can make a good pre-meal snack; research has shown that eating an apple 20 minutes prior to a eating a meal reduced the amount of food that was consumed at that meal. So, including an apple for your daily snack will not only contribute to one of your daily recommended fruit or veggie portions (you should be aiming for at least five a day) but the fibre will fill up your stomach and should keep those hunger pangs at bay. Oranges are another super-fruit when it comes to the satiety index and are almost twice as filling as bananas for the same amount of calories. This is thought to be down to the fluid content, fluid content plays a big part when it comes to helping you feel full. Oranges are 86 per cent water, and research shows that foods with high water content can help to improve our satiety because it increases the portion size without adding calories. 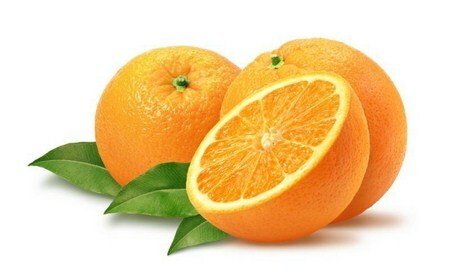 Choose a whole orange rather than orange juice; it contains more fibre which also helps achieve that 'I'm full' feeling. Okay eggs aren't as low in calories compared to some of the other food we've mentioned so far, but due to the fact that they are great source of protein they definitely deserve a mention in this stop-hunger food list. You see, foods high in protein will keep you full longer. 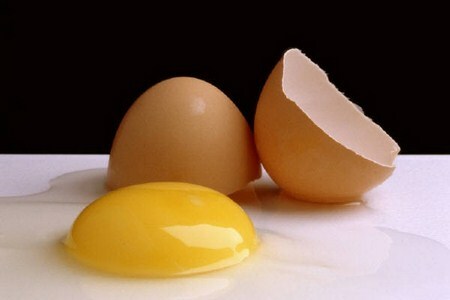 Plus eggs have other benefits too; they contain all the essential amino acids in the exact proportions required by the body for optimum growth and maintenance of lean, metabolically active muscle tissue. Keep intake in check though — one a day is a good rule. Starting a meal with a hearty soup is a great fill-up strategy and there's plenty of good research that suggests eating soup before a meal improves satiety, so you eat less and take in fewer calories as a result. 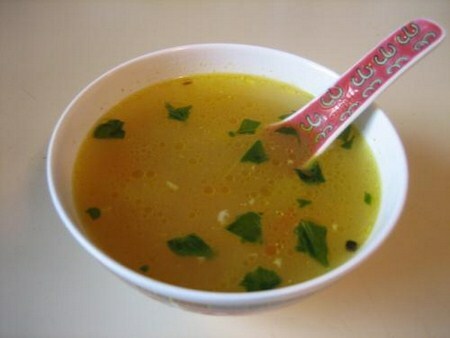 You need to be careful on your soup selection though, best case scenario is a homemade soup so you have control over the ingredients and you can even include other stop-hunger foods to the soup as well (for example potatoes, lentils or beans). If you do need to go for a premade soup of the packet or canned variety, make sure you check out the nutritional information — particularly quantities of salt, calories and fat.